Last week I read on my iPhone an article, “Apple Watch Could Detect Heart Arrhythmia” by digital editor Ryan Bushey. It’s an app for our iPhone and Android. Not ready yet, it will be potentially able to detect atrial fibrillation. Researchers say that it will be able to identify A-Fib with 97% accuracy compared to an electrocardiogram. 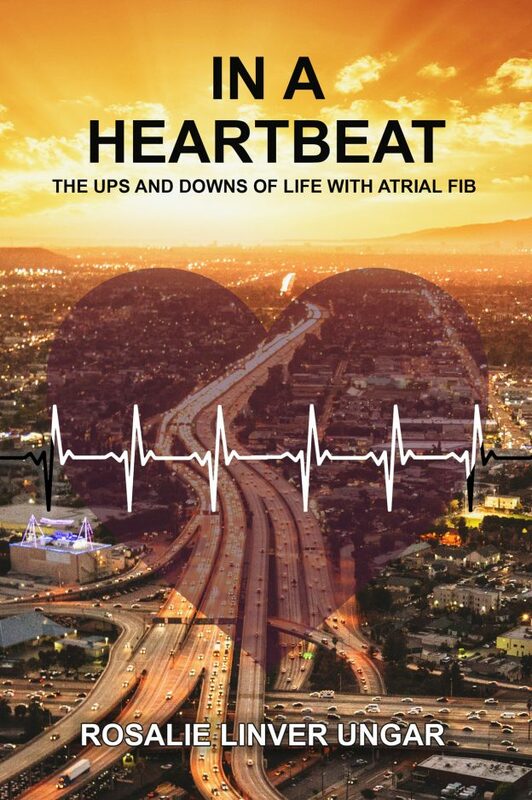 As the author of a recent (published late summer 2016) book, IN A HEARTBEAT: The Ups & Downs of Life with Atrial Fib, I presumed that I was as up-to-date as possible with new discoveries in my chronic affliction AF, managed for now with meds, an ablation 10 years ago and digital information from my 3rd pacemaker. An app for the phone? WOW! I’m reminded of a question that comes up in my speeches to heart patients, rehab patients and caregivers on a regular basis about my book, “How do you know you are in A-Fib if you can’t feel it?” That can be a dilemma because many patients don’t know they have it at first. Initially I felt an irregular heartbeat in an exercise class as early as 1980 only because the trainer told us to take our pulse. Mine was so flighty that I couldn’t find it and when I did, it reminded me of hummingbird wings fluttering in the breeze. Two years went by before a doctor noticed it and suggested I see a cardiologist. I’d probably been in and out of A-Fib many times but didn’t know it. Now I did. As my electrophysiologist Dr. John Hummel said, “Atrial fib begets atrial fib.” However, everyone is different. Some people never feel it. Some are in AF all the time. Some, like me, go in and out of the weird heartbeat For some it gets worse with time and affects life style. That, too, happened to me. But now, an app? Maybe now those who ignore their own atrial fibrillation and refuse to get treatment can investigate the best way to identify the heart arrhythmia and see a cardiologist or electrophysiologist. Statistics show that 70% of men diagnosed with atrial fibrillation get treatment. Only about 30% of women with it obtain treatment. Why? I haven’t figured that out. There are 6 million people in this country with AF and that is only the ones that know they have it. It’s becoming an epidemic and not just for the aging population, but certainly it is happening there. I had my first episode at age 43. More than 130,000 Google searches are made on atrial fibrillation each month. There are so many questions. An app for my iPhone? Amazing. This entry was posted in Blog on June 19, 2017 by Rosalie Ungar.